The Pumpkin Room, recognisable by its signature pumpkin themed tiles is primarily used as a catering space for Private Dining Room 1. 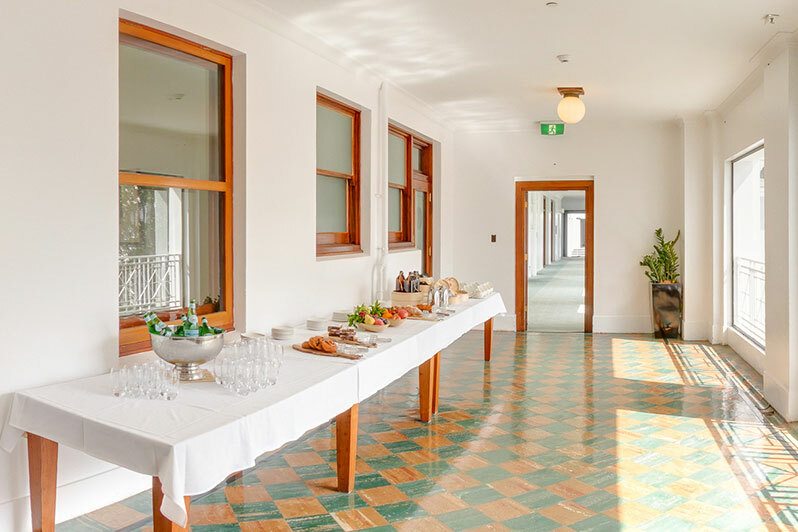 Featuring a stunning view of the House of Representatives Courtyard, it is a bright space that can be used as a green room or catering space during events. Access to the Pumpkin room is via Access to Private Dining Room 1 or the Private Dining Rooms Corridor Access to the Private Dining Room 2 (and subsequently Private Dining Room 1) is via the driveway and pedestrian bridges; the latter have easy access ramps, and easy access toilets are also at level. 13.6m x 3.6m x 3m Limited seating setups available. For pricing and more information, please call 1300 870 433 during business hours, or email Restaurant Associates.